Great interactive learning experience that encourages fun, creativity & imagination! Use your imagination & creativity to create endless drawings on the go, and mess free! Peppa Pig is one of the hottest properties around! 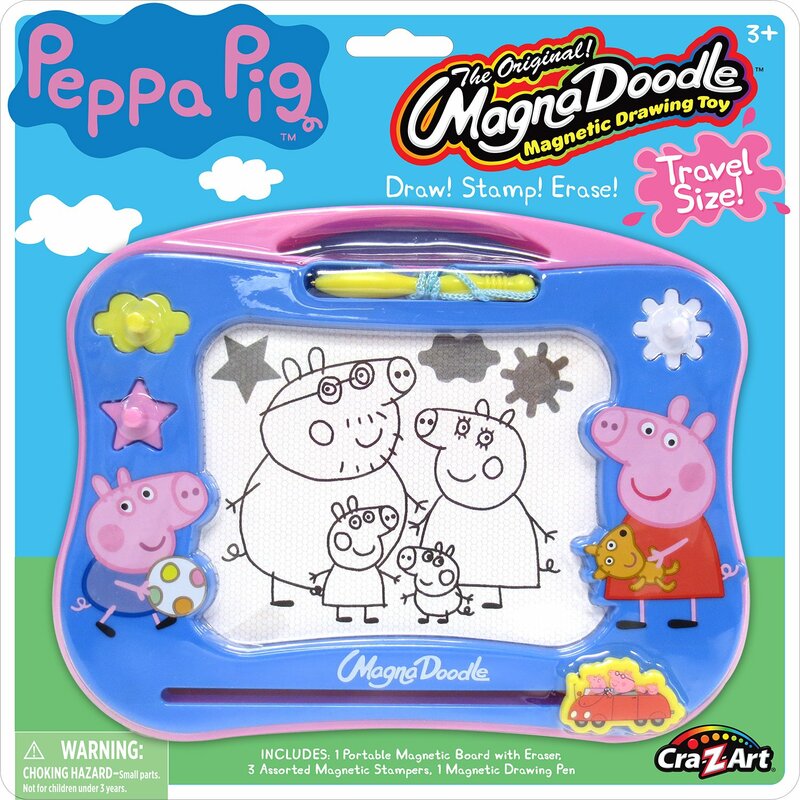 easily draw, stamp anderase magically with the Cra-Z-Art Peppa Pig magna Doodle. Portable unit thatis all self-contained, no mess or clean up. Comes with assorted design stamps,design pen and easy erase slide bar in unit. So much fun to use! hugelypopular in England and now a hit in the U.S. Peppa is a loveable, exuberantlittle piggy who lives with her little brother George, mommy Pig and DaddyPig. Peppa's favorite things include playing games, dressing up, days out andjumping in muddy puddles. Her adventures always end happily with loud snort oflaughter.